The election day fight is one of the most infamous stories in Hatfield & McCoy Feud lore. And as with many stories found in history, historians and Hatfield and McCoy descendants differ in opinion on the details of the historical account. Depictions of both Tolbert McCoy and Ellison Hatfield, who allegedly began the fight that resulted in a three versus one murder, vary greatly, with blame being shifted to one side or another depending on the storyteller’s interpretation of the tragic story. One thing is for certain, the Election Day Fight is without a doubt one of the key incidents that fueled the feud. The Hatfield and McCoy Driving Tour is a self-guided tour that includes all of the sites, both in Kentucky and West Virginia, of the feud. 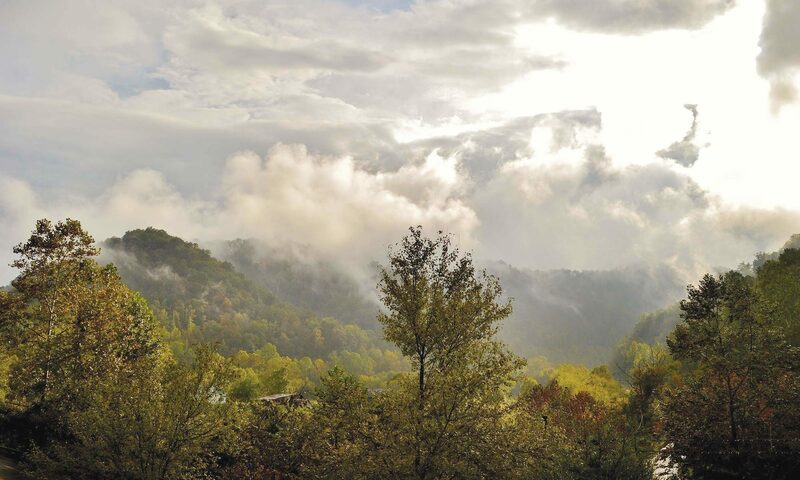 Visitors are provided a Hatfield and McCoy Driving Tour brochure for free, which features step-by-step instructions for finding each feud site that is open to the public. An optional Hatfield and McCoy Driving Tour CD is available for purchase below. Both items can be found in our visitors’ center store, located in the Hampton Inn on 831 Hambley Blvd, Pikeville. The audio CD serves as a tour guide for the feud sites, and offers professional voice talent and music, which spices up the already wonderful tour. 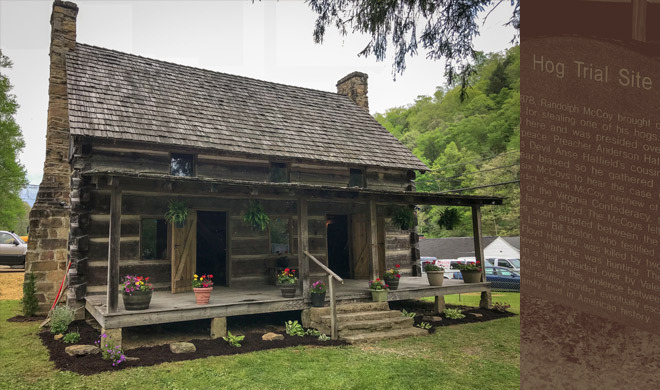 Click here to visit the Hatfield McCoy Heritage Tour page. Hatfield and McCoy Driving Tour Audio CD Go on a self-guided adventure through the territory of the Hatfields and McCoys, and see the places where the actual feuding took place. The Hatfield and McCoy Driving Tour Audio CD is provides voice actors, music and a tour guide for each site. Order your Audio CD today. 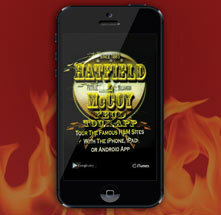 Hatfield & McCoy Feud App Find the Historic Hatfield and McCoy Feud sites using your smart phone. View Feud-related historical documents, send a Hatfield-McCoy Postcard from your phone, view nearby restaurants, hotels and businesses and more. Hatfields & McCoys Driving Tour Visit the actual locations of America’s most famous feud. The Hatfield and McCoy Driving Tour Guide provides you a detailed map of the feud sites, as well as historical background.